While many shoppers can’t wait to grab the savings that Black Friday offers, there are others who dislike spending hundreds of dollars on holiday gifts. I am one of them. I enjoy giving gifts, but we are paying off some bills from my husband’s graduate school years including student loans, and I just don’t want to spend a lot of money we don’t really have. If you feel the same way, you don’t have to feel like a scrooge. Instead, pat yourself on the back for being resourceful and giving those on your gift list what they want as well as conserving your own money. 1. Redeem Swagbucks. Have you joined Swagbucks yet? If not, this tip probably won’t help you for this year, but it can definitely help you for next year. I try to earn as many Swagbucks as possible during the year, and then in early November, I cash them out for a PayPal payout. This year I redeemed 10,000 Swagbucks, and it only took me two weeks to get the $100 PayPal deposit. That money is part of my gift buying budget. 2. Redeem credit card rewards. 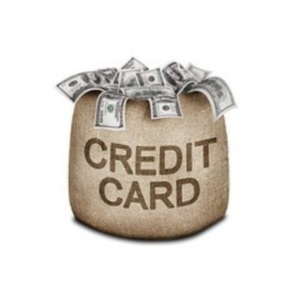 Many credit card companies offer points that you can use for cash or other prizes. My credit card company offers $50 restaurant gift cards or $50 Visa debit cards for 5,000 points. I let the points accrue throughout the year, and then I cash 5,000 points out for a $50 Darden restaurants gift card for my mom. She loves to eat at Red Lobster, and I can give her a gift she enjoys for free. 3. Make homemade gifts. Not all of us are crafty, but if you are, you can make your own gifts. You can give gifts as simple as all of the bean soup ingredients in a jar to cookies to clothes. My kids love the handmade scarves my mom made them one year. I have been impressed with The Prudent Homemaker’s series, A Gift a Day where she shares the handmade gifts she is making for her children. 4. Shop Craigslist. Looking for gifts for your kids? Type in “new toy” in your local Craigslist, and you will find many new in the box toys being sold at a steep discount from Amazon and even eBay. If your children are young, they may not even notice if a toy is used, which can allow you to save even more. 5. Take advantage of deal sites. I watch sites like Mamasource, Groupon, and Living Social to find good gifts offered at a significant discount. My son is interested in science, and this summer Mamasource offered The Magic School Bus science kits at 50% off. I bought it and have it tucked away for one of his Christmas presents. 6. Pick a name. If you come from a family with 3 or more children, rather than buying individual gifts for each of your brothers and sisters, ask if they would be willing to pick names from a hat. Each person buys a gift for the one person whose name they choose. To keep it fair, you can even set a limit on the amount each of you will spend on the gift. Buying holiday gifts can be very expensive, but it doesn’t have to be. Use some smart shopping strategies as well as your own talents to save money this holiday season. What is your favorite way to save money on holiday gifts?